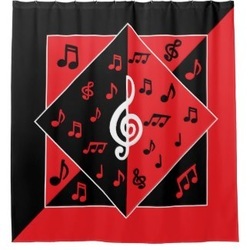 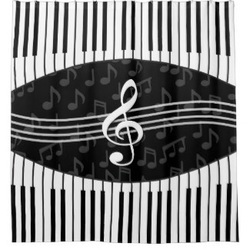 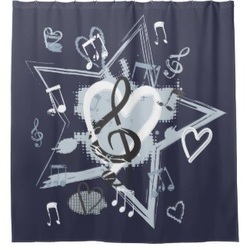 A retro styled music shower curtain with black and white wave splitting up musical notes. 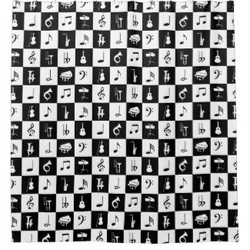 Perfect for any musician or music lover black and white checkerboard musical notes perfect to complement any decor. 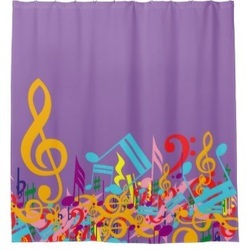 Shower curtains to suit all tastes - not just taste in décor but taste in music, including blues, jazz, classical, rock and more. 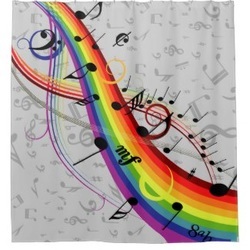 Elegant and stylish, bright and colorful, bold and loud, styles to suit the way you like your music. 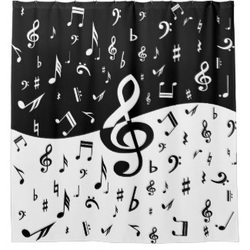 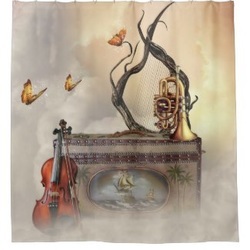 These music themed shower curtains will be a favorite with musicians, music teachers, music students and music lovers everywhere.